Time to light the candles and draw the curtains now the clocks have gone back this week. To celebrate Halloween I’ve hollowed out pumpkins for a display at Harewood’s Autumn Glory and at the Mustard Pot in Leeds. 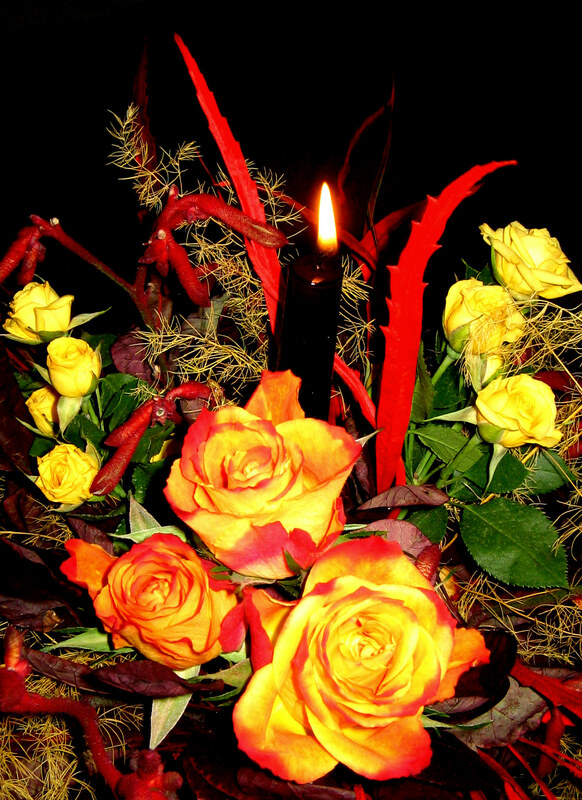 These roses are just perfect as well, brilliantly coloured yellow with orange edging to the petals they look good with the orange dyed grevillea leaping like flames around the black candle. 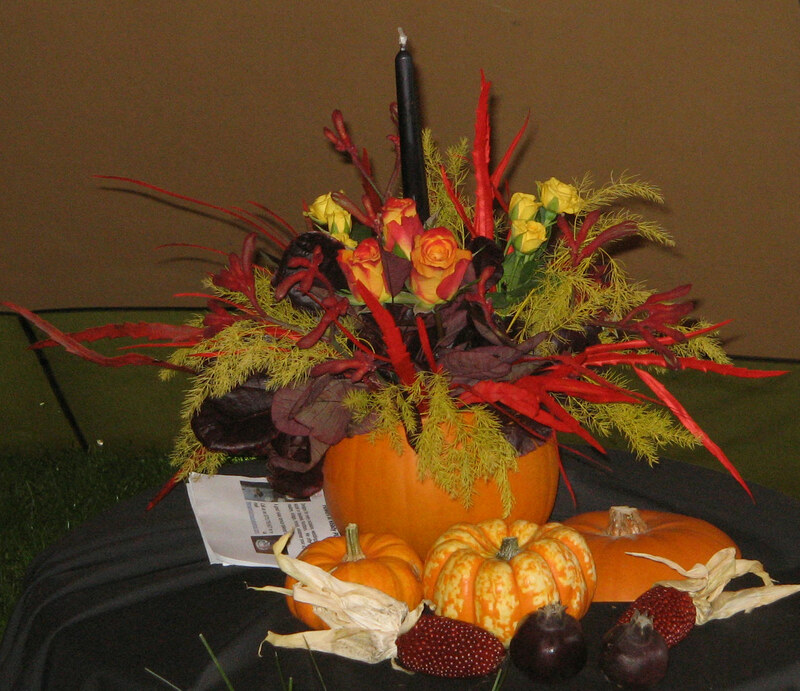 Here on the table you can see I’ve surrounded the pumpkin with dried pomegranates, little squash and maize. At home all I need to do is dig out some sweeties for the hoardes and prepare for the onslaught! In the garden there’s still work to do. Yesterday and very much in keeping with the Halloween weekend I planted some garlic – it’s an ideal time to plant between now and mid November. And I still have my broad beans to get in, but when I looked in the packet thinking there were plenty I only had 8 left from this spring, so not much use, another thing on the to do list. Enjoy the fun and games!